While the sentiment behind the Golden Rule means well, I’m here to tell you that it isn’t the best rule to follow. 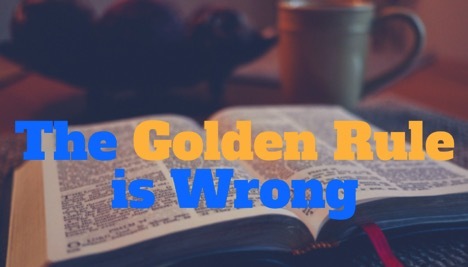 The Golden Rule is wrong — and it’s wrong in a very specific way. It doesn’t take into account the other people you are dealing with. It equates everyone as if they are the same. It doesn’t differentiate between extroverts and introverts. It doesn’t classify people based on their communication preferences. And, it assumes that everyone is like you. Would you treat an extrovert the same way as an introvert? Would you communicate to two people the same way if one responds quickly to texts and the other person likes talking on the phone? Instead of the Golden Rule, use the Platinum Rule. The Platinum Rule says that you should treat everyone the way they want to be treated—not the way you want to be treated. The Platinum Rule is better than the Golden Rule because it forces you to know the type of person you’re dealing with. To know how someone wants to be treated means you have to have to communicate with them and get to know them first. Just because you like to socialize and chat with people about their weekends before talking about business, doesn’t mean everyone else does. The Platinum Rule philosophy tweaks the Golden Rule thinking in order to find out how the person you’re dealing with likes to be treated. If they are a straight-to-business person, you’ll want to think about adopting that strategy to best serve them and not yourself. Some people may say that you would just be mimicking the other person if you adopt this strategy, and that people can spot a faker a mile away. I disagree. I believe if you get to know the other person before you do business with them, this puts you in the driver’s seat. You can control the conversations and the negotiations because you know how the other person will reciprocate. In my experience, the Golden Rule is no longer the best rule of thumb to practice when dealing with other people. The best rule to follow is the Platinum Rule. So, stop treating others the way you want to be treated, and start treating others the way they want to be treated. 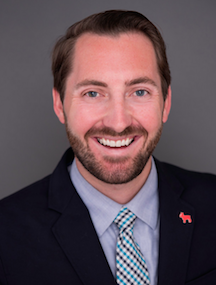 Nico Hohman is the broker-owner of Hohman Homes, a residential real estate brokerage based in Tampa, Fla. Learn more about Nico at hohmanhomes.com or connect on Twitter: @thenicohohman. First of all, it is not a school teaching or a sentiment… These are literally the words of Jesus. When Jesus made reference to the Law and the prophets (second half of the verse that you didn’t quote Mt7:12) he is referring to loving your God ad your neighbor as yourself. “It doesn’t classify people based on their communication preferences. And, it assumes that everyone is like you.” Love is universal, Love assumes that everyone enjoys respect, tact and ethics. No a lot of words needed, if you treat someone with love your communication will be just fine. I’d like to share my concerns about the blog article Re-thinking the Golden Rule. While the author was able to make a point of teaching us to adjust to others needs, the disregard for the Golden Rule should most definitely have been avoided, especially since the Golden Rule is the entire basis of the National Association of REALTORS Code of Ethics preamble; the essence of our existence, established by our founding father as the expectation of a true REALTORS behavior. No the Golden Rule is NOT wrong, today or ever. Your misunderstanding of the Golden Rule is a part of the current vogue in allowing for everyone to choose to be offended by anything not meeting their needs/wants. A customer service representative needs to inquire as to how a client would prefer to be treated if there are various methods available- that is the golden rule brought to this specific instance- we all want to be asked how we would prefer to proceed. Doing so is NOT ignoring the golden rule, but confirming it. This country’s current penchant for taking offense, and crucifying the “offender”, just because WE may have different expectations and desires from theirs, needs to be exterminated ASAP. Nico, you are the type of person, I think, that wants to make a name for himself. By taking a standard of Christian thinking thousands of years old, and telling people it’s not good enough-in fact, to replace it with the Platinum Rule-you sir, are going to create an argument. A tempest. A groundswell. I disagree with you because in my mind, there is none better than Jesus, and if He taught us The Golden Rule, boy you better listen. Bring down your haughty nose from the clouds, and stop trying to place yourself and your crazy notions above my Lord. We all think crazy things at times: often, we blurt out something silly. But to take the time to write something so utterly offensive, something so … well, let’s be frank-stupid, really takes the cake. You my boy, must think quite highly of yourself to publish such jibberish. God does not consider each person when He teaches us His principles; you and I are the same, therefore the Rules apply to us and are there for our benefit. God doesn’t change to appeal to every customer seeking Him out: no, God is perfect, and what He has taught us can not and should not be changed by impetuous fools who want the world to revolve around them-like you. Stop trying to Rule the world; let God teach you His Rules, and here’s one final tip: if you truly want to be a leader, learn to be a follower. A follower of Jesus.